presencia of police owing to wordo ask diadomingo 9.30 of night at one cas in clavelstraat, where during one discusion, one father owing to angry y owing to strike his child cu bate of baseball. n’e cas police is talk cu the boy the.g.di 17 year, that is tell cu his father t.g. 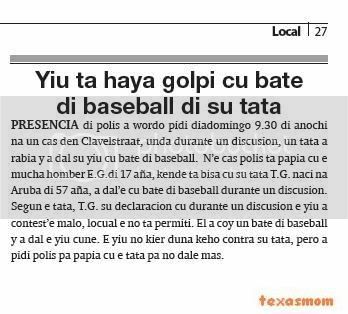 naci at aruba of 57 year, owing to dal’e cu bate of baseball during one discusion. according the father, t.g. his declaracion cu during one discusion the child owing to contest’e bad, locual the do not permiti. past owing to coy one bate of baseball y owing to strike the child cune. 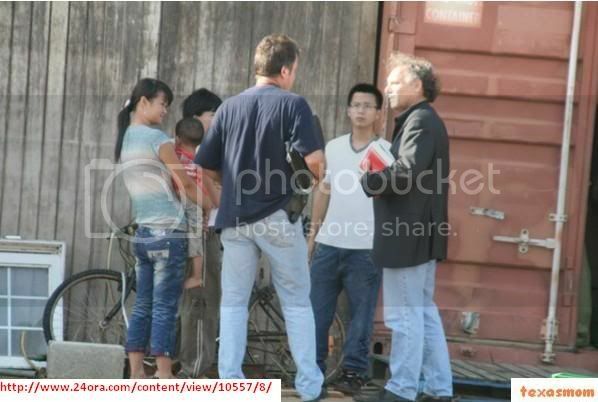 the child does not give complaint contra his father, but owing to ask police for talk cu the father for not dale more. 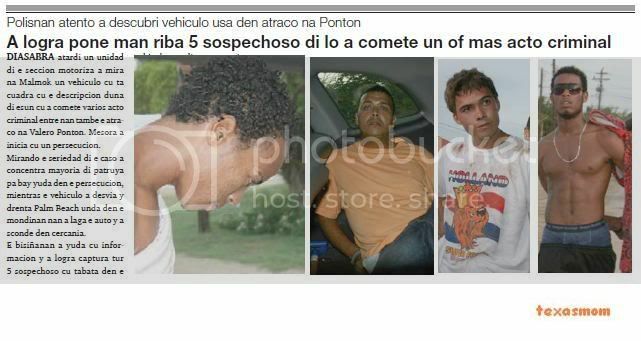 saturday madruga one agent policial owing to see one conocido of police, the such cacalaca blanco in one nissan sentra blauw. at once they owing to stop the vehiculo for controla if here is deal of one vehiculo steal or not. hour cu police was controlando the car, they owing to come achieve several pipe for strike drugs, the agentenan at once owing to deshaci of all the artefactonan ey. y owing to detene cacalaca blanco. diadomingo morning owing to enter informacion cu have one car in the mondinan panort of the casnan of pos diminutive complex. at once owing to dirigi one patrol policial n’e sitio. at arrival of police, they owing to come achieve one sitio, where already end several car owing to being pluma, owing to achieve skelet y partinan of another autonan. besides bao of one tree close ey self owing to come achieve one sitio cu sofa y cama of beach where the ladronnan will can descansa while they're pluma car. for suerte owing to succeed achieve one toyota tercel blanco a-30654 intacto, but cla for bay in the phase of desmantelacion. hour cu owing to busca contacto cu the owner, police is come hear cu the car owing to being take away at one garage for reparacion. 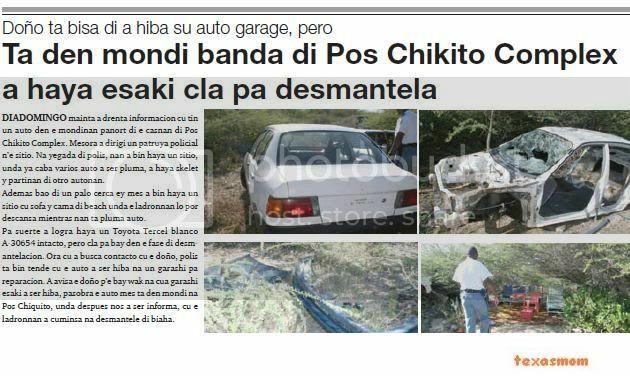 owing to avisa the owner p’e bay look at at cua garage this owing to being take away, because the car self is in forest at pos chiquito, where after we owing to being informa, cu the ladronnan owing to cuminsa at desmantele of trip. saturday night habitantenan of soledad owing to descubri cu they owing to ricibi visit indesea at they cas. this after of cu ladronnan owing to forza one window y owing to enter y steal n’e cas among 7 y 10 or of night. apparently they owing to hinca one car till behind the cas, y so enter in the bedroom y owing to bay cu several cos cu one student had cla prepara for cuminsa his study in exterior. at various part in the bedroom owing to achieve vingerprint y now departamento of investigacion tecnico will follow cu the caso p’asina succeed grab the thief. ORANGE CITY - Four young people last weekend after a short chase arrested for car theft and a number of armed robberies. The boys were also responsible for the robbery at the Valero gas station Ponton earlier last week. It took the police a very clear description of the getaway car. When agents this car last Saturday near the Marriott hotel saw ride, the hot deployed. The driver would not stop when asked strengthening agents. After a short chase, the car between Palm Beach and Monserat lost from view. Evidence of local residents led the officers back on the right path and so the four boys were eventually held. They were all put under lock and key. ORANGE CITY - The Public Prosecutor (OM) is strongly disagrees with the punishment of the judge in the case of Eugene Lampe. This prosecutor Elivia Lugo in an interview hint. But she understands why the court's decision has been taken. The OM has not yet made final decision to appeal. Lampe received last week 17 years imprisonment instead of life as was required by justice for the brutal triple murder of his father, brother and mother. When asked whether it might, despite the lack of resources such as TBS, would not be in the interest of the people and families in order to appeal Lugo answer: "This is something we in the Ministry itself must discuss. We will be the requirement on the one hand and the ruling on the other side. Then we decide whether we can lay down what the judge has decided, or that we in this case at certain points of appeal to go. "After the decision for the fourteen days to consider an appeal before the final decision is. The Court in the decision taking into account the final part of the report of the Pieter Baan Centrum Lampe stating that "greatly reduced" allocation is open. The judge says to this report just a 'small piece' debt down to explain to the defendant. The court has also, according to the officer looked mainly to the debt and the severity of conditions for making a decision and less to the public interest. Justice was not agree. "This is not one, not two, but three murders premeditation. Killing of another family. "The brutal manner in which the murders were committed and the lack of compassion and grace that speaks from the time that Lampe had and how he spent the whole export and tried to hide . "Of course we also looked into the circumstances of the offender and his mental condition, but we were in this case outweigh the public interest and therefore selected for the maximum punishment. 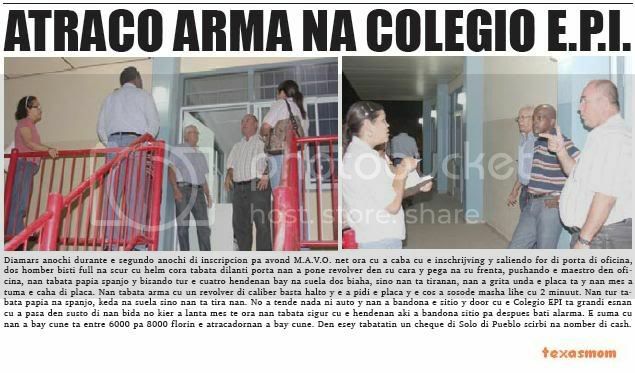 Because the law in Aruba (and the Antilles) posting is not permitted, a judge can not impose this measure. The Pieter Baan Centrum in its report stated that as the suspect in the Netherlands would be assessed, the TBS would recommend. But this is impossible without legislation. The court may sentence the offender only one offer. This could also be implemented in the Netherlands, but it is a normal prison. People imprisonment by force or nursing TBS will be after their imprisonment in a closed system of treatment for their mental illness. People with TBS remain at least four years of treatment, depending on the nature of the illness and the crimes could theoretically always be extended. ORANGE CITY - The customs authorities last Monday at Reina Beatrix airport a 23-year-old from Colombia, which held an unknown quantity of cocaine to Amsterdam tried to smuggle. The suspect A.R. is to remain in custody pending further investigation. yesterday morning did take lugar one conferencia extra ordinario of police caminda korpschef, peter de witte owing to take away word. 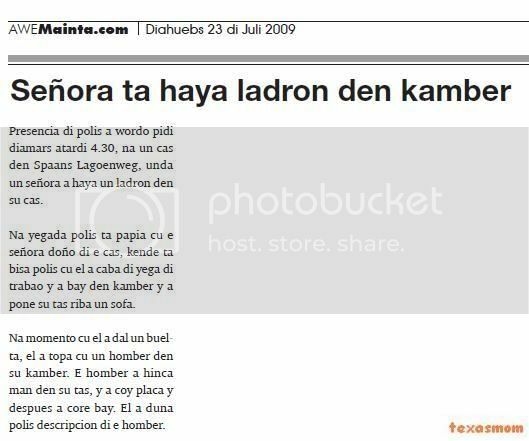 the encuentro cu prensa here did take lugar debi at the actonan of criminalidad important cu did take lugar in end of week, where cu esun more important was the tiramento cu did take lugar diadomingo caminda cu one person owing to fayece. the actividadnan owing to cuminsa saturday morning trempan where cu 3 man owing to wordo grab before they owing to succeed enter for steal in price smart. after one are of person owing to wordo grab cu is wordo sospecha of owing to steal car y others. in the detencion here owing to succeed decomisa one arm of candela. in the are here, have one young, cu owing to solicita for become police, y for of fotonan publica, one family of rooi koochi residence owing to give of conoce, cu is they was envolvi in ladronisia at his cas week happen. diadomingo morning owing to detene one person tame sospechoso of was esun cu owing to throw on guiseppe phelipa. 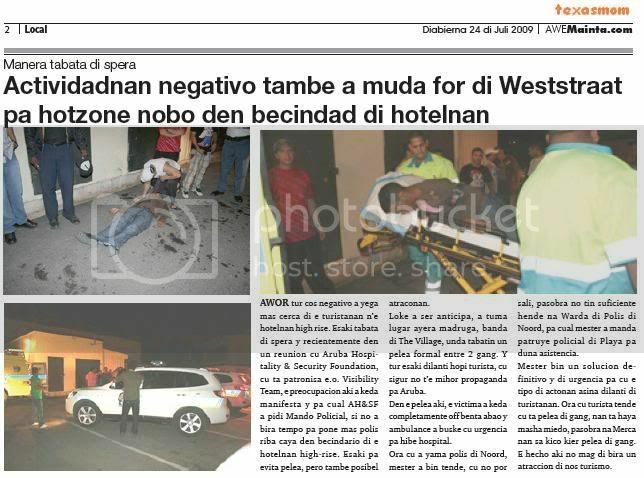 the person here, aruban owing to wordo deteni because; sospechoso of asesinato. 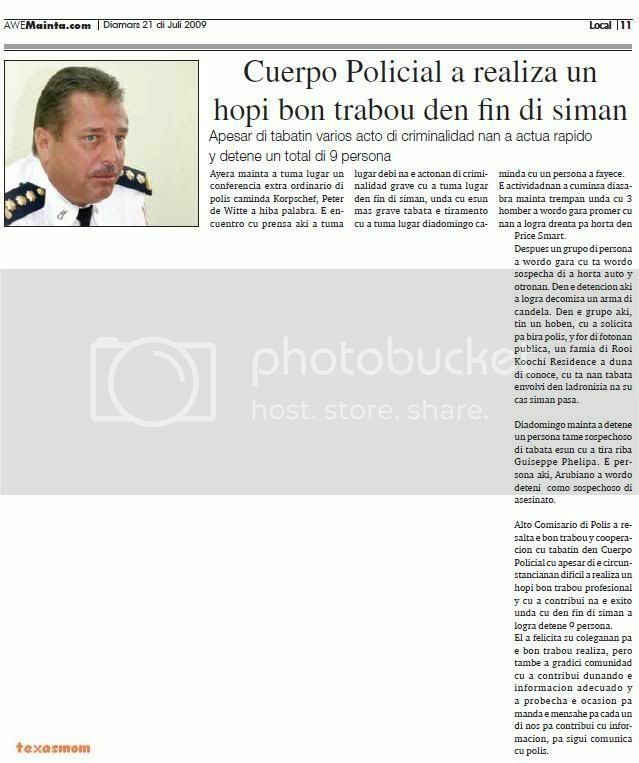 alto comisario of police owing to resalta the good work y cooperacion cu had in cuerpo policial cu despite of the circunstancianan dificil owing to realiza one much good work profesional y cu owing to contribui at the exito where cu in end of week owing to succeed detene 9 person. past owing to felicita his coleganan for her good work realiza, but also owing to gradici comunidad cu owing to contribui dunando the informacion adecuado y owing to probecha the ocasion for send the message for cada one of we for contribui cu informacion, for follow comunica cu police. 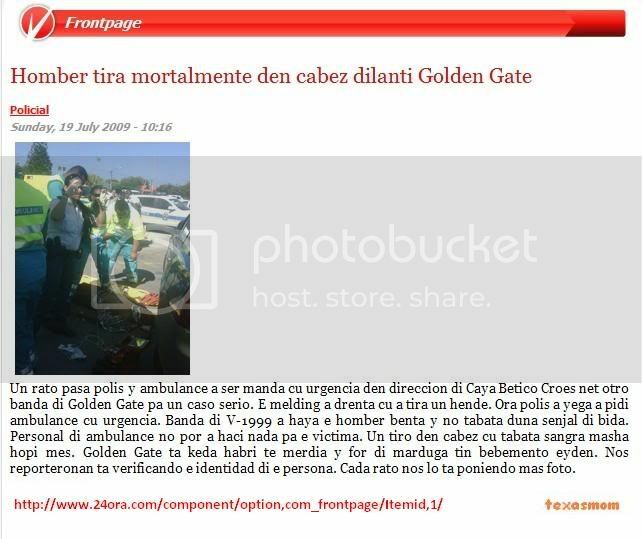 presencia of police owing to wordo ask at one cas at santa cruz for one ladronisia. n’e cas one granddaughter owing to tell police cu past owing to come throw view y owing to achieve 5 child young all dress at black in the porch. the is tell also cu they owing to steal one toyota corolla grey a-16266 for of the cas, but one rato first, they owing to achieve the car stop on the lugar of park of colegio san hose. the hobennan was 3 man y 2 muher in balcon of the cas. they had enough articulo cu they owing to saca for of the cas end for bay cune. hour cu they owing to see the granddaughter, they owing to core bay. the caso is in hand of recherche. atra co arm at colegio e.p.i. tuesday night during the second night of inscripcion for avond m.a.v.o. just hour cu owing to end cu the inschrijving y saliendo for of door of office, two man dress full at dark cu helm cora was fast door they owing to place revolver in his cara y stick at his forehead, pushando the perfect in ofi - cina, they was talk spanish y saying all the cuatro hendenan bay at floor two trip, but they're tiranan, they owing to bark where the coin is y they self did take the box of coin. they was arm cu one revolver of caliber enough high y the owing to ask the coin y the cos owing to sosode very lihe cu 2 minuut. they all was talk at spanish, stay at floor but they're throw they. not owing to hear nothing neither car y they owing to bandona the sitio y door cu the colegio epi is big esnan cu owing to happen in susto of they life does not owing to arise self till hour they was assure cu the hendenan here owing to bandona sitio for after beat alarma. the suma cu they owing to bay cune is among 6000 for 8000 guilder the atracadornan owing to bay cune. in esey had one cheque of sun of people scirbi at name of cash. 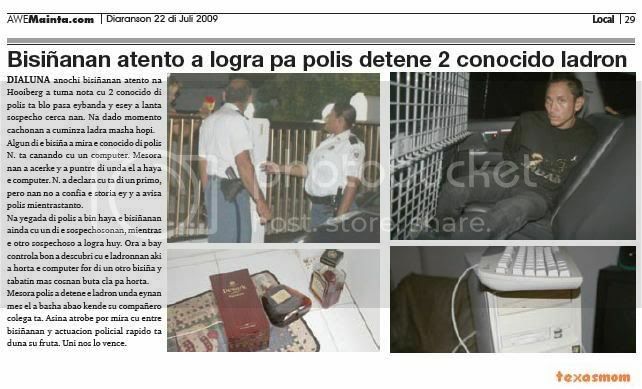 yesterday owing to bay cu several computer, documento y cantidad of coin for of first oranan of yesterday afternoon, autoridadnan hudicial, consistiendo of rst, sia, recherche of north, cacho for smell coin, arm y drugs, seccion of crimen organisa, compaña for fiscal, owing to dicidi of bay once more n’e supermercado, cheng xing at paradera. as we can corda, some month atrás, same autoridadnan hudicial here, owing to haci one entrance hudicial, where owing to stay confisca very much articulo, cu is procedente of ladronicia cu child of the owner of cheng xinga was cumpra sell. the child here at such ocasión owing to stay deteni y till still is close. another child, was in exterior y can will soon will not go back more, because the is being considera the author intelectual of all the ladronicianan here. 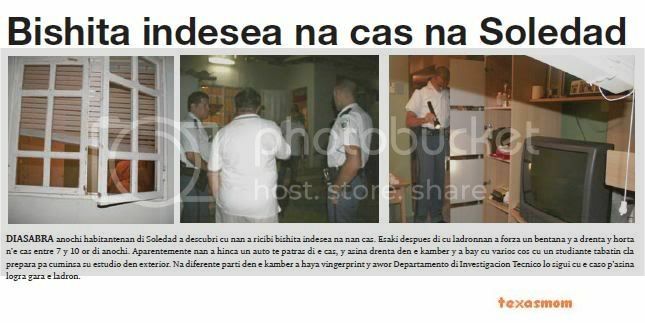 so cu the place leg at aruba, assure the will stay deteni. yesterday, of acuerdo cu informacion recibi, is because the investigacion is follow his curso y among the autoridadnan cu owing to uni n’e polisnan, was the personal of sia. the accion of yesterday owing to last till in oranan of nightfall. 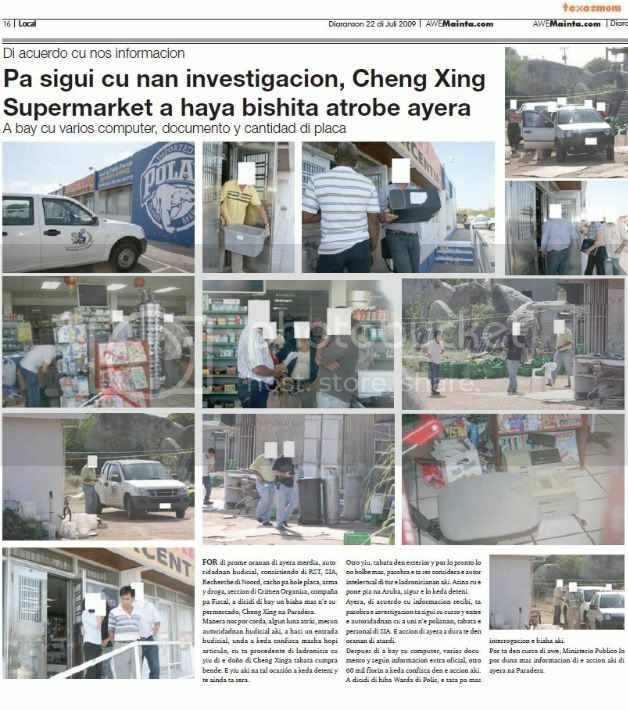 after of owing to bay cu computer, several documento y según informacion extra oficial, another 60 thousand guilder owing to stay confisca in the accion here. owing to dicidi of take away keep of police, the father for more interrogacion the trip here. can is in curso of today, ministerio publico will can give more informacion of the accion here of yesterday at paradera. diahuebs morning owing to leave for of cas the boy angelo werleman y his family not owing to mire bek. the grandmother cu live at sabana big, owing to bay keep of police y owing to haci denuncia of his desaparicion. the grandmother is tell cu the child is measure 1.60, color cla, y eye berde. the have one tattoo of cas of spider at his arm left y also have various tattoo at all two leg. cualkier person cu can owing to see angelo werleman, can take contacto cu keep of police. monday night bisiñanan attentive at hooiberg did take notice cu 2 conocido of police is blo happen eybanda y esey owing to arise suspicion close they. at dado instant cachonan owing to cuminza bark very much. 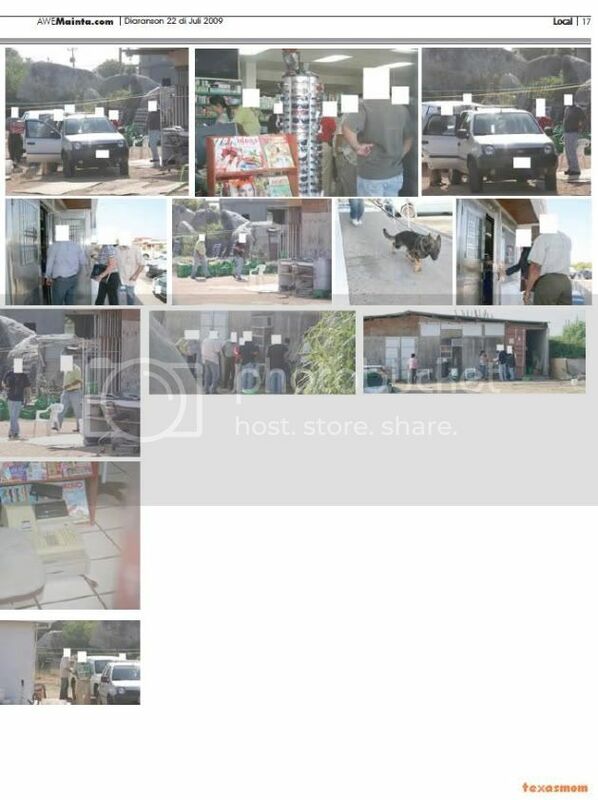 some of the neighbour owing to see the conocido of police n. is canando cu one computer. at once they owing to acerke y owing to puntre of where past owing to achieve the computer. n. owing to declara cu is of one primo, but they not owing to confia the storia ey y owing to avisa police all the time. at arrival of police owing to come achieve the bisiñanan still cu one of the sospechosonan, while the another sospechoso owing to succeed huy. hour owing to bay controla good owing to descubri cu the ladronnan here owing to steal the computer for of one another neighbour y had more cosnan lay down cla for steal. 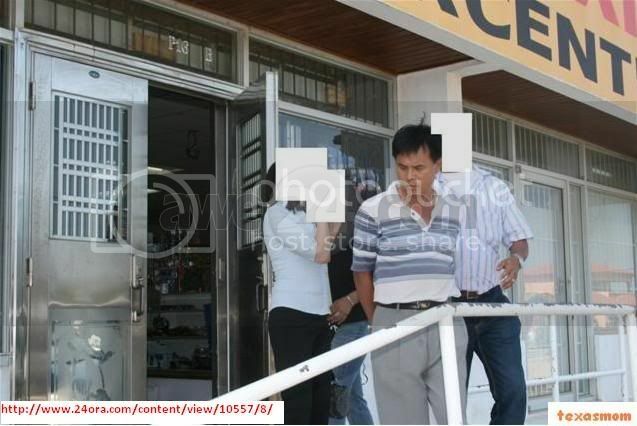 at once police owing to detene the thief where eynan self past owing to pour abao that his compañero colega is. 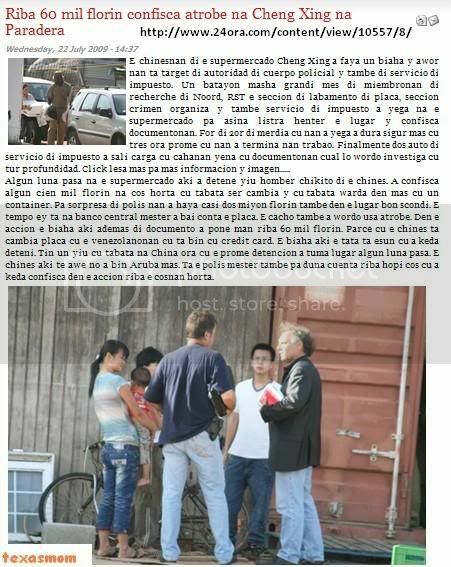 so again can see cu among bisiñanan y actuacion policial rapido is give his fruit. uni we will conquer. yesterday morning the sospechoso eddy (wakata) ras owing to wordo take away edificio of corte p’asina present fast huez comisario. 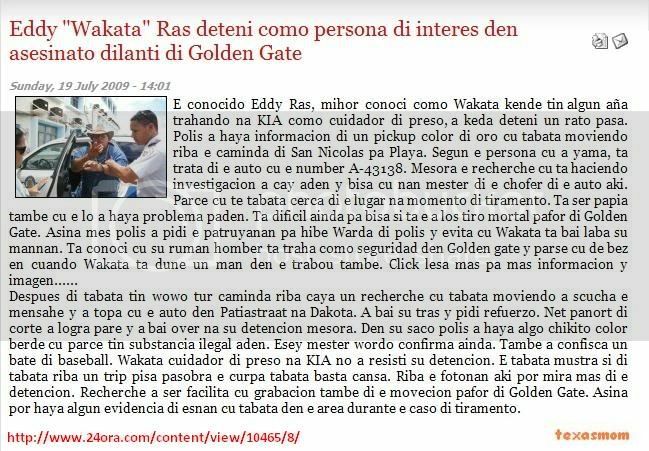 as is conoci diadomingo ultimo, wakata ras owing to wordo deteni because; sospechoso of the asesinato of the person eppy phelipa fast of golden gate. after of owing to stay 48 hour deteni, eddy ras owing to present fast huez comisario, caminda his detencion owing to stay prolonga cu 8 day. 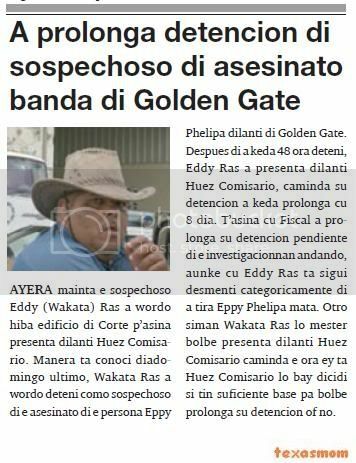 t’asina cu fiscal owing to prolonga his detencion pendiente of the investigacionnan andando, although cu eddy ras is follow desmenti categoricamente of owing to throw eppy phelipa kill. another week wakata ras will have to go back present fast huez comisario caminda the hour ey is huez comisario will bay dicidi if have sufficient base for go back prolonga his detencion or not. 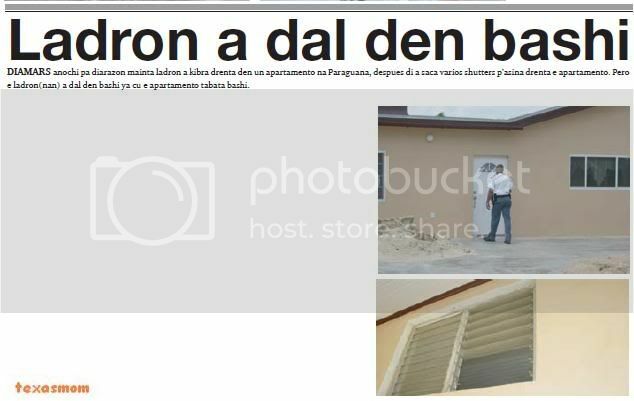 tuesday night for diarazon morning thief owing to break enter in one apartment at paraguana, after of owing to saca several shutters p’asina enter the apartment. but the ladron(nan) owing to strike in bashi already cu the apartment was bashi. one person cu had the intencion of take away drugs amsterdam in the buelo of monday, owing to stay sorprendi y deteni. tuesday, past owing to wordo entrega at departamento of drugs cu is follow cu the investigacion. the sospechoso t’e man owing to.r. naci at colombia of 23 year, that owing to try of transporta one cantidad of cocaina for amsterdam, but owing to wordo grab. departamento of drugs owing to detene for follow cu the investigacion. 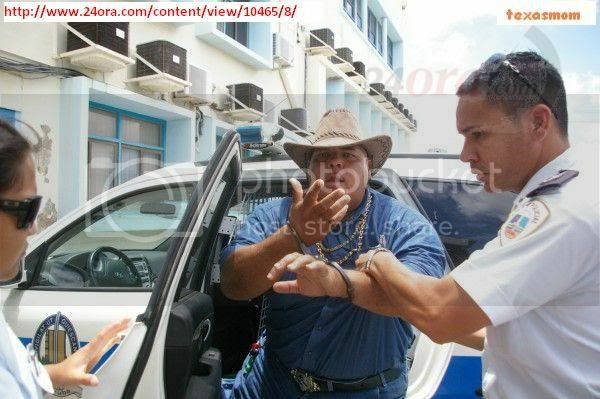 tuesday 00.30, police of san nicolas, is see two man is fight cu one another man. at arrival police owing to see one are of person y one man throw on vlur cu two man on dje. he g.b. is acerca police y the is tell they cu one rato first, they owing to grab he on vlur in cas of they neighbour. hour cu past owing to see cu they owing to gare, past owing to ranca careda core bay, but they owing to succeed detene y glove till hour cu police owing to arrive. police owing to talk cu the sospechoso g.g. naci at aruba of 19 year, that owing to admiti cu past owing to enter in the cas for steal. police owing to detene y entregue at recherche. presencia of police owing to wordo ask tuesday nightfall 4.30, at one cas in spaans lagoenweg, where one madam owing to achieve one thief in his cas. at arrival police is talk cu the madam owner of the cas, that is tell police cu past owing to end of arrive of trabao y owing to bay in bedroom y owing to place his bag on one sofa. at instant cu past owing to strike one buelta, past owing to come across cu one man in his bedroom. he owing to hinca hand in his bag, y owing to coy coin y after owing to core bay. past owing to give police descripcion of he. presencia of police owing to wordo ask tuesday 2or of afternoon, at one cas of people at seroe patrishi, for one caso of menasa cu machete. 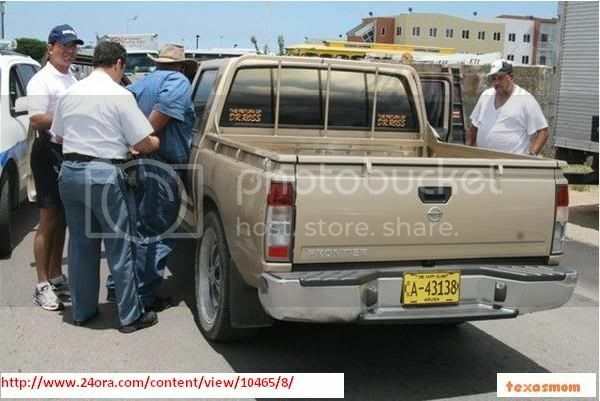 n’e cas police is talk cu he d.f.naci at aruba of 36 year, that is tell cu he the.t. of 32 year owing to menase cu machete. police is talk cu the.t., y the is tell cu is d.f. owing to menase first cu machete. the is tell police cu do not first trip cu they're achieve they cu problem cu another. police owing to busca for know kico t’e problem y owing to resulta cu one of they owing to claba algo on wall of the another. police owing to intermedia, y owing to tell they cu they can bay recherche. now all cos negative owing to arrive more close of the turistanan n’e hotelnan high rise. this was of wait for y recientemente in one meeting cu aruba hospitality & security foundation, cu is patronisa the.o. visibility team, the preocupacion here owing to stay manifesta y for cual ah&sf owing to ask command policial, if not owing to become time for place more police on caya in becindario of the hotelnan high-rise. this for evita action, but also possible atraconan. thing owing to being anticipa, did take lugar yesterday madruga, near of the village, where had one action serious among 2 gang. 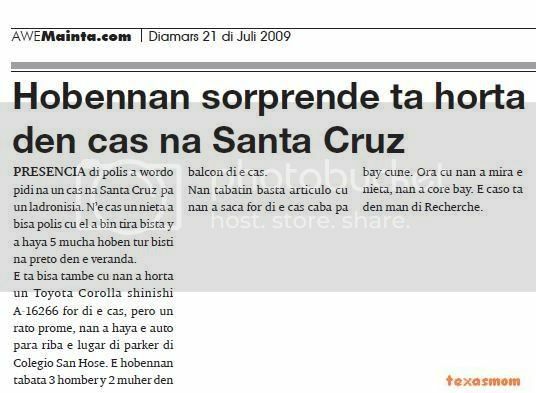 y all this fast much tourist, cu assure not t’e mihor propaganda for aruba. in the action here, the victima owing to stay completamente off throw abao y ambulance owing to buske cu urgencia for hibe hospital. hour cu owing to calling police of north, have to owing to come hear, cu not can leave, because not have sufficient person at keep of police of north, for cual have to owing to send patruye policial of beach for give asistencia. have to come one solucion definite y of urgencia for cu the type of actonan so fast of turistanan. hour cu tourist hear cu is action of gang, they're achieve very fright, because at merca they know kico wanted action of gang. the mature here not mag of become one atraccion of we turism. Page created in 2.251 seconds with 19 queries.